A handsome south-facing country house with outstanding views, Chateau Balfreish near the conservation village of Cawdor has been placed onto the market through our Inverness office. 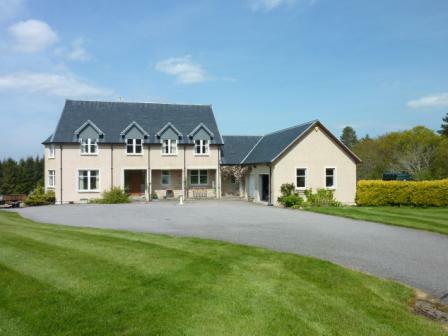 Built in 1999, Chateau Balfreish is a contemporary property incorporating the best of traditional, rural design and takes full advantage of the uninterrupted views over the surrounding countryside to the Black Isle and beyond. The property was designed by the highly regarded local firm, Colin Munro Architects, who worked closely with the owners to create a house with gracious, well-proportioned rooms. 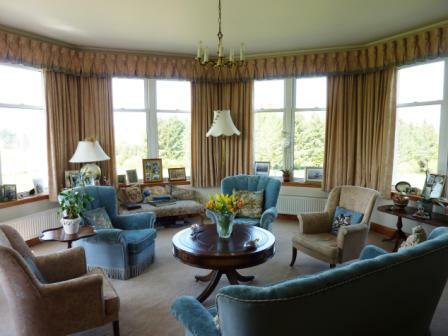 Of particular grandeur is the west tower of the property, home to both the drawing room and the master bedroom. Both are especially elegant spaces with the curved walls and large windows allowing the light to flood in and give the house the real feeling of a Highland chateau with near 360 degree views. On the ground floor, space consists of the entrance vestibule and hall, the aforementioned tower drawing room plus a dining room, study, family kitchen, utility room, shower room, wine cellar and walk-in safe. In total there are four bedrooms within the property, all of which are situated on the upstairs level. 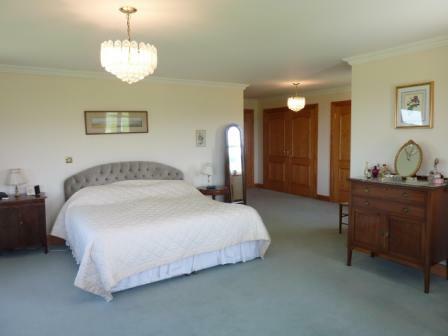 The tower master bedroom has the additional benefit of an adjoined dressing room, with the other three bedrooms all particularly spacious in their right own right. 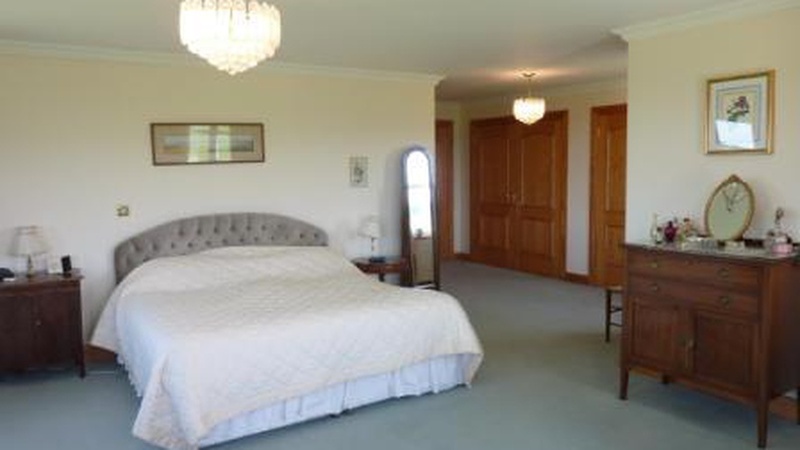 The bedrooms are accompanied on the upper floor by a large family bathroom plus an additional shower room. Outside, Chateau Balfreish lies in attractive gardens extending to around two acres and benefits from a beautiful countryside location that is particularly popular for salmon fishing, shooting and golf. Chateau Balfreish is on the market for a guide price of 565,000. Find out more about this property.